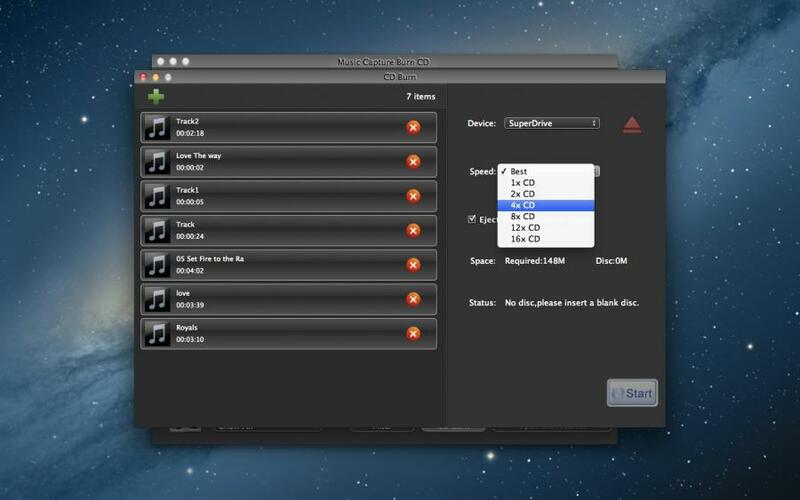 Music Capture Burn CD is easy to record online music (computer audio stream) or Built-in Input audio stream. Music Capture Burn CD records audio from youtube or other music Websites, you can free get any music that you can find and play. Music Capture Burn CD records audio format support MP3, M4A, WAV. 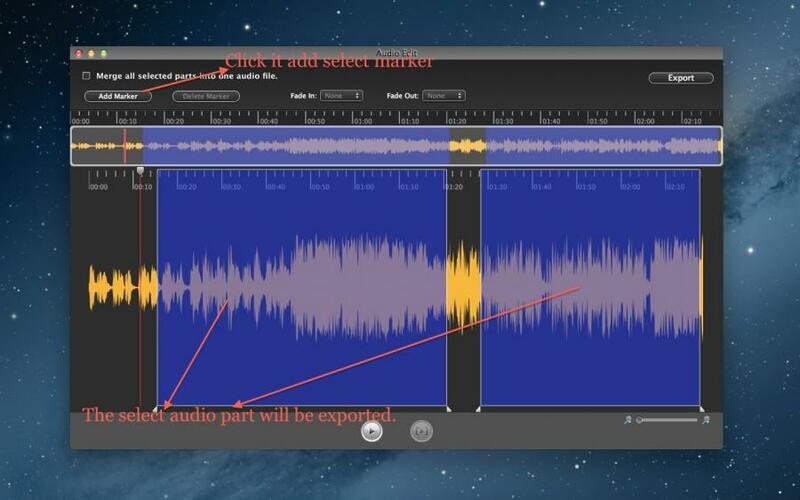 Trim and split the recorded audio. Custom audio format (MP3, M4A, WAV), Bit Rate, Channel, Sample Rate. Music Capture Burn CD record music that online music that you can play, you can free get any music that you can find and play. 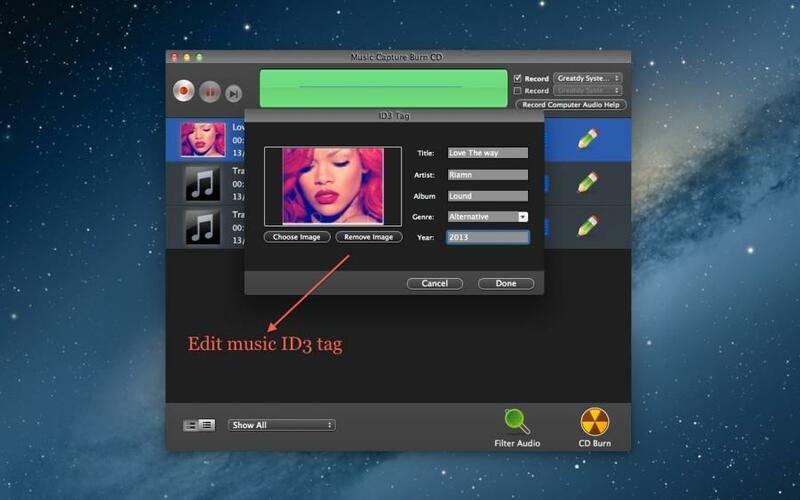 If you love those musics then you can record and burn it into CD, you can use those music make ringtone. It a great app. Want to listen to your favorite songs, radio programs and audio from video anytime and without needing an internet connection? 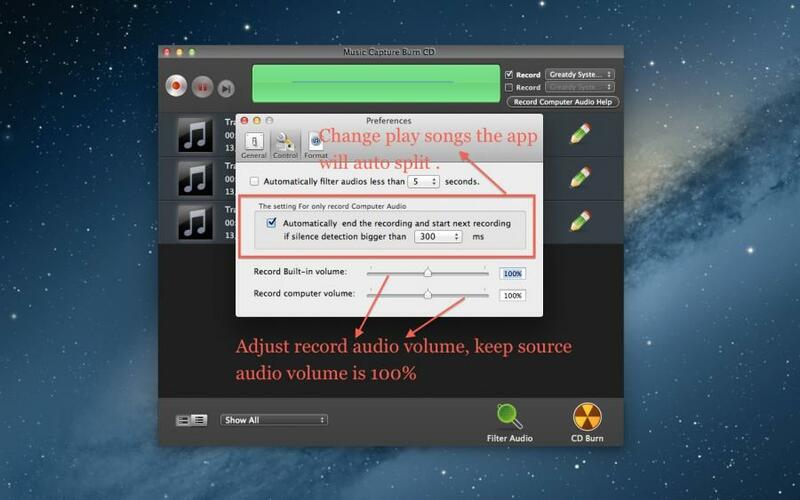 Just record these streaming audios with the professional Mac audio recorder. 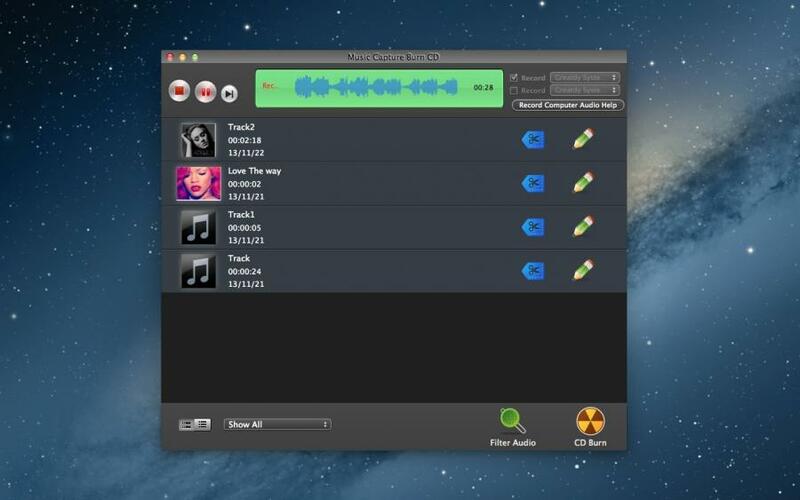 All Audio Record Pro is the best ever Mac version Audio Recorder, which empowers you the ability to record any online music and radio programs with 1:1 quality in a single click. Whatever it is, as long as you can hear online, you could record it in 1:1 quality. With the freedom to take your favorite shows on the go without worrying about waiting for endless buffering, All Audio Recorder Pro helps cut the internet cord loose from your life. Note: If you want to record computer audio then you need do as Record Computer Audio Help .